​A reliable portable generator is a handy piece of equipment that can help out in lots of different situations. 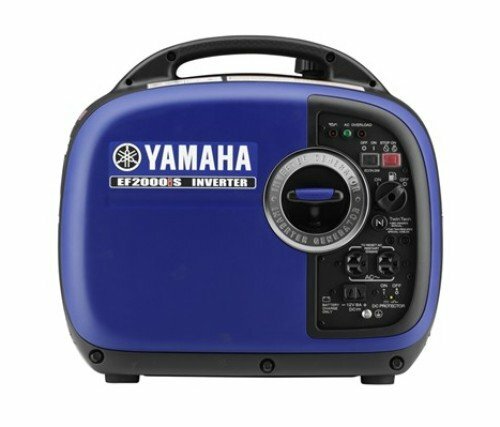 Whether you’re camping off the grid, working from a remote location, or want a backup power source available if a natural disaster strikes, the Yamaha 2000 generator has you covered. In this review, we’ll give you the details on what to expect from this model. Below, we’ll outline the specs, discuss the types of items it can be used to power, and delve into how it stands apart from the competition. We’ll give you information on pricing, and our expert opinion on whether it’s worth the money. This way, you’ll know if the power and capabilities of the Yamaha EF2000iSv2 are the right fit for your needs and your budget. What Is the Yamaha EF2000iSv2 and How Does It Work? The Yamaha EF2000iSv2 is the next generation model in the Yamaha 2000 generator line. As a brand, the company is known for producing models that have the longest engine durability ratings available that also still comply with the Environmental Protection Agency. These small, portable devices allow you to safely and reliably power electric devices when the power goes out, and are also convenient if you need power in remote locations like a camp or job site that’s off the grid. This model uses fuel to power the generator and incorporates a built-in microprocessor which makes it both powerful and sensitive enough to juice up anything from your cell phone to power tools. Here are a rundown of the key features and specifications you’ll find in this option. This generator has 2000W starting and 1600W running power. This means that it can generate a maximum of 2000W at any time to get an electronic device started, and can operate at up to 1600W continually. This is important if you plan to use this model on devices that need a lot of energy to boot up like power tools or electronic devices. Check to see that this is a high enough output for your needs to ensure this is the right model for you. This fuel-operated unit holds one gallon, which will power it for up to 10.5 hours at a quarter load capacity. The single-cylinder engine is air-cooled which helps to isolate the heat and keep it running efficiently. This model uses Yamaha Smart Throttle technology which incorporates a load-sensing mechanism that automatically adjusts the speed of the engine. This means that not only does it operate much quieter than other comparable models, but it also maximizes its fuel use. It can run for up to 10.5 continuous hours before you’ll need to refill the tank. One common complaint amongst generator users is how much noise the machine produces. However, this option is an exceptionally quiet device that only produces 51.5 decibels at a quarter load and 61 decibels if it’s running at full capacity. Selecting a generator that offers a stable power output is crucial if you don’t want to fry your devices. This Yamaha machine uses Pulse Width Modulation technology coupled with their pure sine wave inverter system which gives you both voltage and frequency levels that are compatible with even your most sensitive electronic devices. The Yamaha 2000 generator is lightweight and comes in a 44 pounds without fuel. It has a unique design that’s complete with a handle and rubberized feet to make it easy to transport and set down on any surface. We will delve into more of the improvements of this second generation model below, but it’s worth mentioning here that the upgraded controller system is a helpful feature that improves the output accessibility. This means you can power a wider variety of small appliances than you could with its predecessor. It also includes helpful indicators like an oil watch system and auto decompression and auto warm-up functions. Users love this model because it is parallel capable, which means you can purchase an adapter that allows you to connect more than one unit together to double or triple your power. It works with both the first and second versions of this generator model. You have three different outlet options with this generator. There are two 120V AC outlets and one 12V DC outlet from which you can choose. Yamaha follows all the latest safety protocols with all of their products, and this one uses both a USFS-approved spark arrestor and is CARB- compliant. Although different brands of generators have many things in common, there are a few things that make this Yamaha model stand out. Here we’ll compare it to the EF2000ISv1, and also to other competitors to give you the scoop on what sets it apart. Although the first and second versions of this machine have a similar design, energy consumption, and power output capabilities, there is one significant difference between them. The next-gen V2 uses an advanced controller that has programming capabilities that go above and beyond its predecessor. This upgrade provides more consistent AC output between the rated and peak outputs, which means that you can run a larger range of applications on this device. When the EF2000ISv2 is operating at a quarter-load, it only registers at 51.5 decibels of sound. For reference, when you’re at home and your dishwasher is running in the next room, it’s operating at around 50 decibels. The loudest that this generator will get is 61 decibels, or around the level you would hear in a busy business office during the day, and that’s only when it’s running at max capacity. The sound advantage is thanks to several features, including Yamaha’s patented Smart Throttle system, the rubber feet that limit the noise and vibration, and a high-quality muffler. Users love it because it isn’t loud enough to disturb your neighbors or keep you awake at night, and it’s a good choice for a busy campsite or tailgate party. While most mufflers will come with a decent manufacturer warranty, Yamaha takes it up a notch and offers three years worth of coverage when you purchase from a certified dealer. If you’re shopping online, check to make sure that you are buying from a reputable source so that you qualify for this benefit. This Yamaha model retails for $$ from the manufacturer, but there are a few ways to find a deal and save some money. There are retailers on Amazon that have it listed for $$, but you’ll want to check on the Yamaha website to be sure that they are authorized dealers so that you also get the warranty. The price covers the generator, but not any fuel or additional accessories. For example, if you want to be able to hook this to your RV or couple it with another of the same model, you’ll need to also buy the Parallel Cable for around $$. If you want a cover that fits this model that will protect it when it’s not in use, that another $ upgrade. As a company, Yamaha Motor Group is well-known for creating performance-driven equipment. They’ve been in business for over 50 years, and produce everything from motorcycles to motors, and have long been an innovation front-runner in their industry. Their in-depth knowledge of small engines and motors make them uniquely qualified to develop powerful, compact portable generators, and they have carved a niche for themselves in the recreation industry among camping, hunting, and outdoor enthusiasts. They are also a favorite amongst preparedness fans, from doomsday preppers to families who want a well-stocked emergency kit and are well-liked for their quiet and durable generators. When we looked at what people had to say about this product specifically, we found overwhelmingly positive reviews. Not only is it an option that doesn’t produce a lot of noise, but it’s also efficient and reliable. People loved that it doesn’t require a lot of fuel to power the machine and that it lasts for 9-10 hours with average use. It’s easy to start and use, and doesn’t require a lot of work to keep it cleaned and well-maintained. That said, people who used the unit at an altitude of greater than 4,000 feet found that they had issues with operation. Yamaha states in the operating manual that at a high altitude the generator will need a specific high altitude carburetor kit that should only be used in these conditions. You could potentially damage the machine if you keep the kit installed and return to sea level and attempt to use it. Although the Yamaha EF2000iSv2 is a well-reviewed and well-liked generator, it’s not the only one on the market. Here are two comparable options and the pros and cons of each. The Honda EU2000I is another top-selling generator that has many similar specifications to the Yamaha model. Both are inverters that run on one gallon of gas, they weigh about the same, and they have smilier dimensions. The Honda model runs for around 8 hours at a quarter load and has a maximum capacity of 2200W. It’s a bit quieter than the Yamaha option and operates at between 48 to 57 DBA, and the manufacturer offers a comparable warranty. Where you find the most significant difference between these two options is in the price. The Honda model retails for $$$ from the manufacturer, and many online retailers mark that price up to as high as $$$. Do your research to determine if the extra 200W are worth the higher price tag. Another 2000-watt generator option is the 56200i model from WEN. It holds a gallon of fuel and runs for approximately 6 hours when running at a half-load. It registers 51 decibels when operating at a quarter load, making it very comparable to the Yamaha 2000. There is also a significant price variation with this option. You can find it on Amazon for around $, making it a less expensive choice. That said, you won’t get the robust manufacturer warranty from WEN. The Yamaha EF2000iSv2 is a fan favorite portable generator for several good reasons. Not only is it compact and lightweight, but it’s also easy to operate and pours out a consistent stream of reliable power. It’s easy to use and has some advanced features that make it even simpler like the fuel indicator light and easy-start operation. This model is an exceptionally good choice if you want something that is both powerful and quiet. People who plan to use it frequently stand to benefit the most thanks to the three-year warranty from the manufacturer. Overall, this generator is a mid-priced option that has a few bells and whistles and enough power for the most common portable generator needs. Although you’ll want to take care that you purchase from a Yamaha authorized retailer so that you don’t void the generous warranty, this is one item where it pays to shop around. 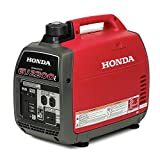 The MSRP for the generator is listed at around $ more than you can find it for on sites like Amazon thanks to periodic deals that Yamaha offers. Also look at online sporting goods stores who often provide coupons that you can stack in addition to special offers to have an opportunity to save an additional 10-20 percent off the listed price.